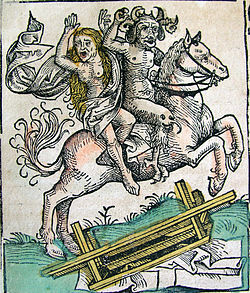 The Devil/Satan embedded in the human mind throughout history. 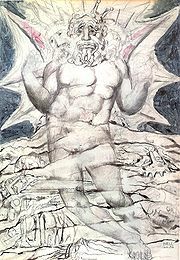 Particularly after the European Enlightenment, some works, such as Paradise Lost, were taken up by Romantics and described as presenting the biblical Satan as an allegory representing a crisis of faith, individualism, free will, wisdom and enlightenment. 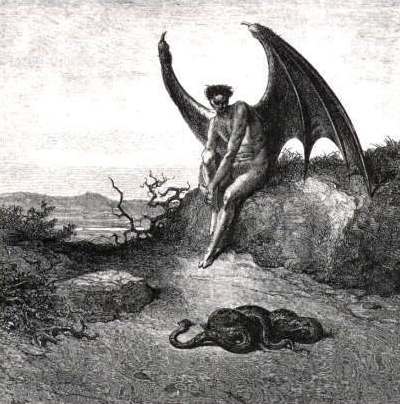 Those works actually featuring Satan as a heroic character are fewer in number, but do exist; George Bernard Shaw, and Mark Twain (Letters from the Earth) included such characterizations in their works long before religious Satanists took up the pen. 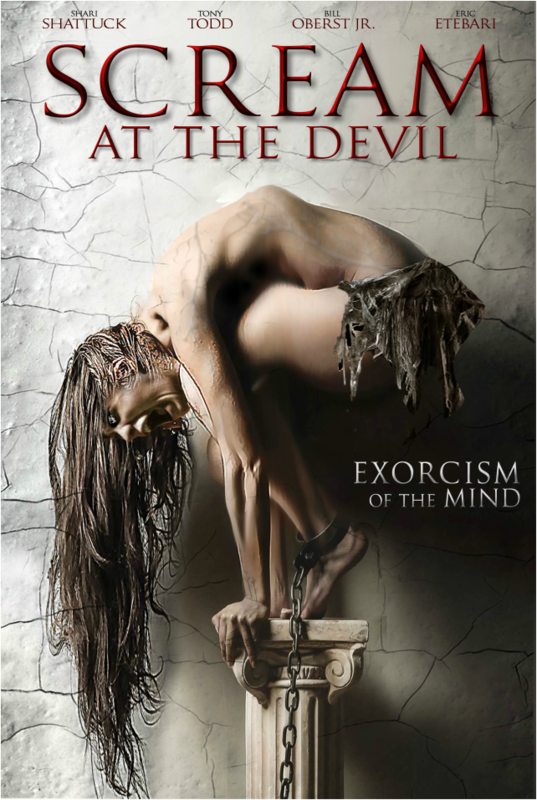 From then on, Satan and Satanism started to gain a new meaning outside of Christianity. Although the public practice of Satanism began in 1966 with the founding of the atheistic Church of Satan, some historical precedents exist: a group called the Ophite Cultus Satanas was founded in Ohio by Herbert Arthur Sloane in 1948. 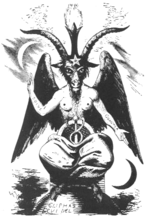 Inspired by Gnosticism and Gerald Gardner'sWicca, the coven venerated Satan as both a horned god and ophite messiah. Satanist groups that appeared after the 1960s are widely diverse, but two major trends are Theistic Satanism and atheistic Satanism. 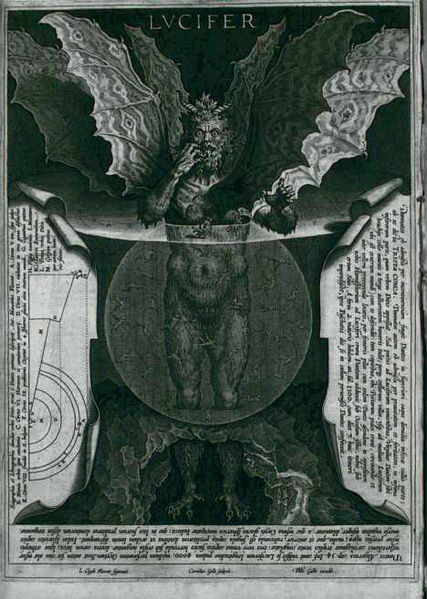 Theistic Satanists venerate Satan as a supernatural deity. 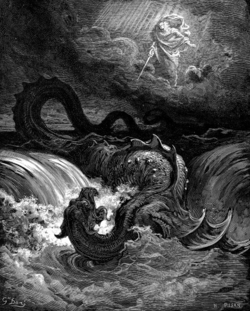 In contrast, Atheistic Satanists consider themselves atheists, agnostics, ignostics orapatheists and regard Satan as merely symbolic of certain human traits. 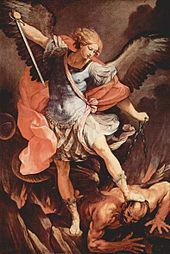 This categorization of Satanism (which could be categorized in other ways, for example "Traditional" versus "Modern"), is not necessarily adopted by Satanists themselves, who usually do not specify which type of Satanism they adhere to. 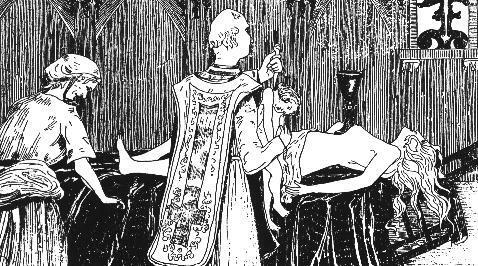 Some Satanists believe in a god in the sense of a Prime Mover but, like Atheistic Satanists, do not worship it, due to the deist belief that a god plays no part in mortal lives. Despite heavy criticism from other religious groups, there are signs that Satanistic beliefs have become more socially tolerated. Satanism is now allowed in the Royal Navy of the British Armed Forces, despite much opposition from Christians and, in 2005, the Supreme Court of the United States debated over protecting the religious rights of prison inmates after a lawsuit challenging the issue was filed to them. 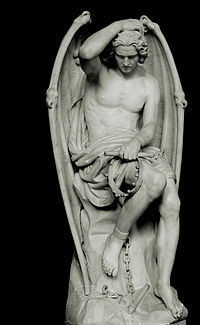 Satanism developed in the context of the Christian faith, as an ideological backlash to certain tenets promoted in Christianity. 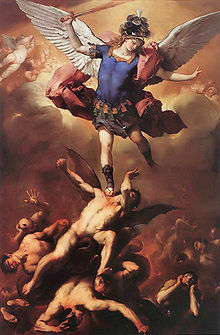 The character of Satan revered by Satanists, therefore, is mainly regarded as the prototypical anti-Christian figure. 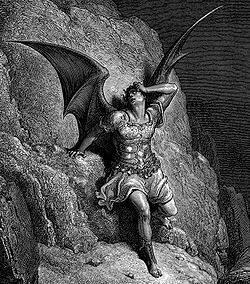 There have been some Satanists, however, who have shown reverence for the similar, albeit differently-characterized Islamic concept of Satan (Arabic: شيطان Shayṭān), also known as Iblis (Arabic: إبليس ʾIblīs) although this is much more uncommon as Satanist philosophy has primarily flourished in the Occident, and has likely not reached any Muslim-majority countries. 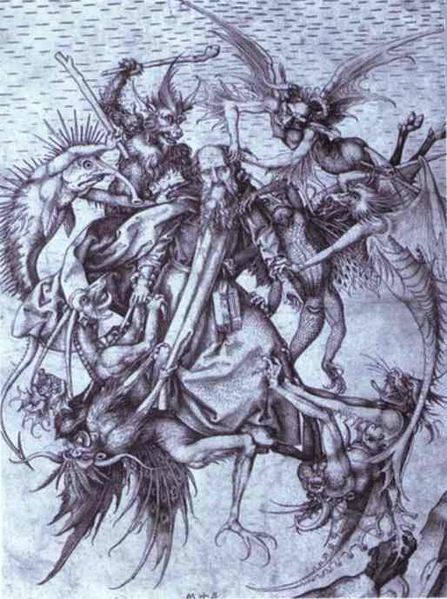 As he is an antagonist in all of the majorAbrahamic traditions, Satan is also mentioned in certain Jewish literature, although he is treated more as a nuisance than the primary enemy of God in Judaism.